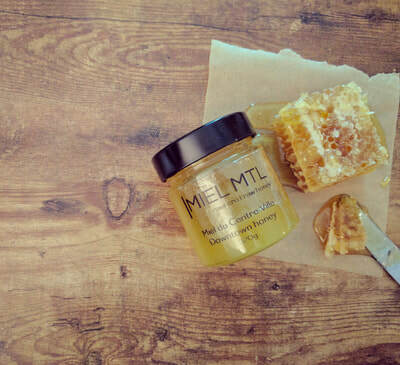 Honey is the product of flowers nectar which honeybees collect & deposit as honey inside their hexagon-shaped cells. 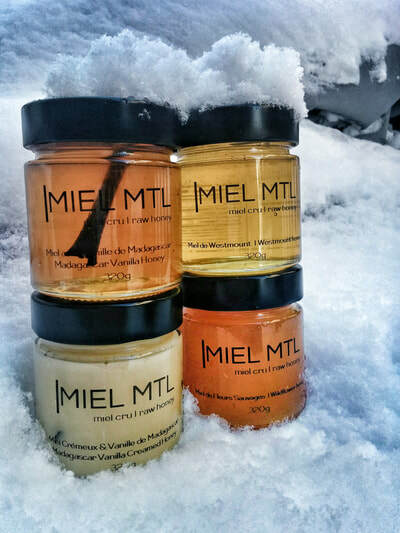 Our honey is cold-extracted (by cold stainless-steel centrifuge) right after our seasonal harvests. 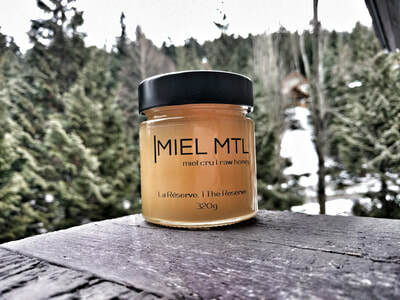 ​Honeybees generally fly within 2km of their beehives, gathering the nectar of the local flowers; Making each honey unique to the area where the beehives are located. 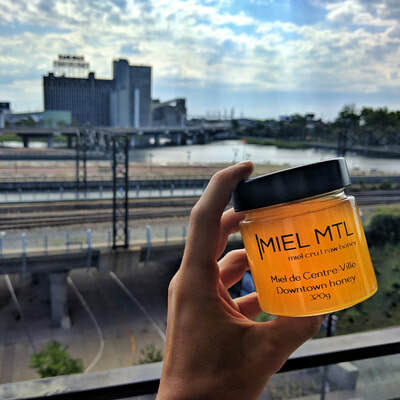 Miel MTL honey is extremely unique as the region of Montreal offers the bees the incredible diversity of flowers; from the lovely gardens and patios of our very own Montreal community to the beautiful and lush countryside on the outer limits. 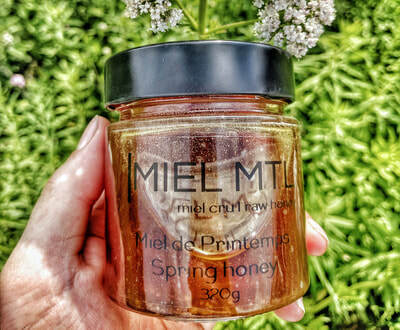 The species of flowers directly impacts the honey and is responsible for the particular honeys taste and aroma. 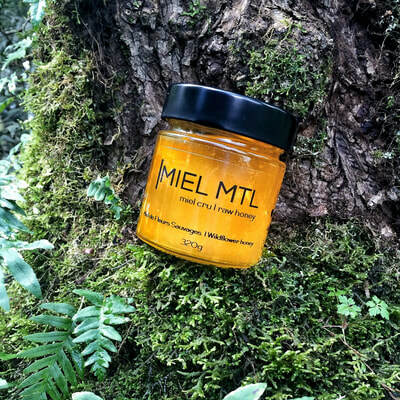 When honey is heated it loses many of its nutritional & beneficial qualities, flavors and aromas. 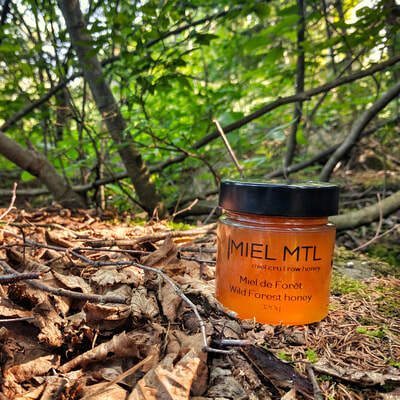 So we keep our honey like nature intended; Always raw. Always natural. Aways local & Always fresh. 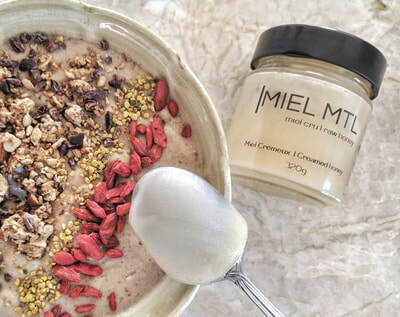 HONEY CONTAINS ANTI-BACTERIAL, ANTI-VIRAL, ALLERGY-REDUCING, ENERGY-BOOSTING PROPERTIES AS WELL AS CONTAINS DIGESTIVE-BOOSTING AND SOOTHING ENZYMES.